The Rear Tine features counter-balance weights to focus the weight over the wheels. 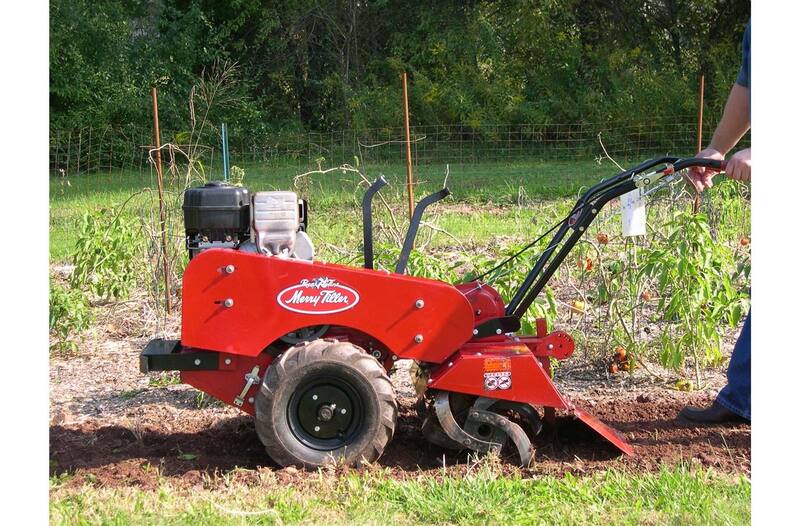 This allows for more control while tilling, reducing skipping and wheel spin-out. 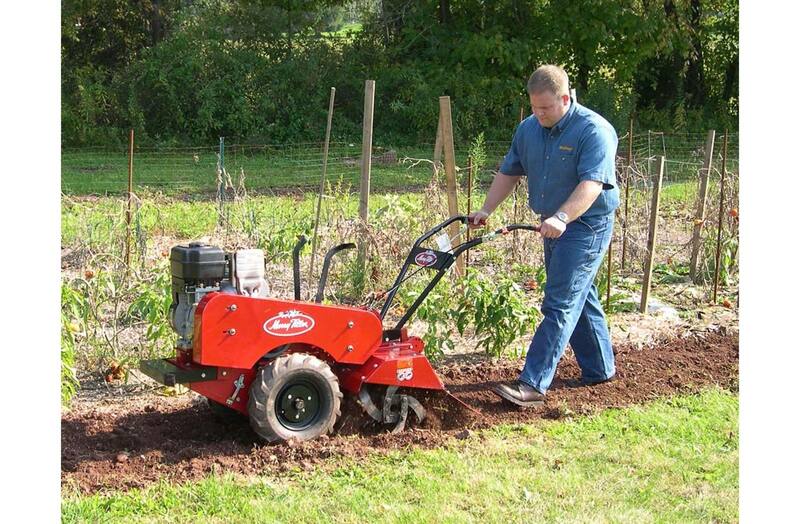 There is an adjustable drag bar to help the tiller dig deeper and cultivate the soil. For the safety of the user, there is a flap following the tines smoothing the soil and preventing the operator from kicking the tines. The Rear-Tine has a double belt drive providing proven durability.